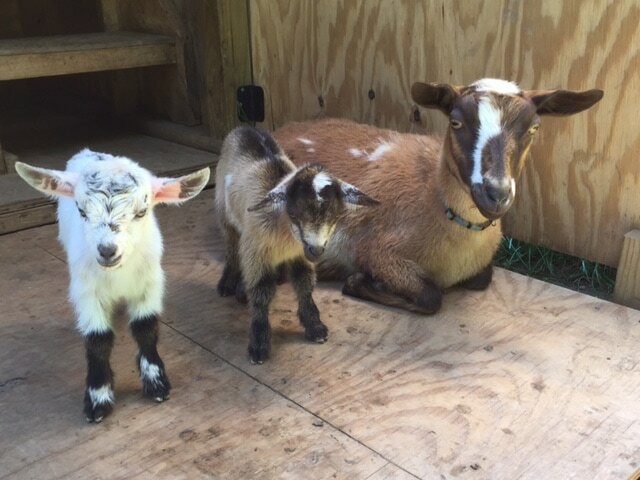 ​black buckling with white star, patches and frosted ears. 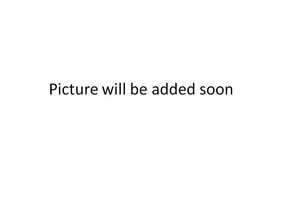 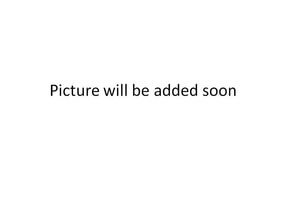 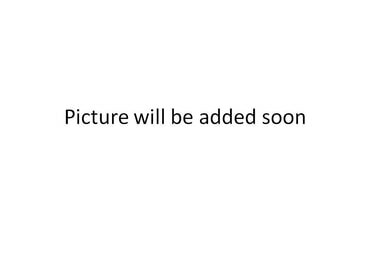 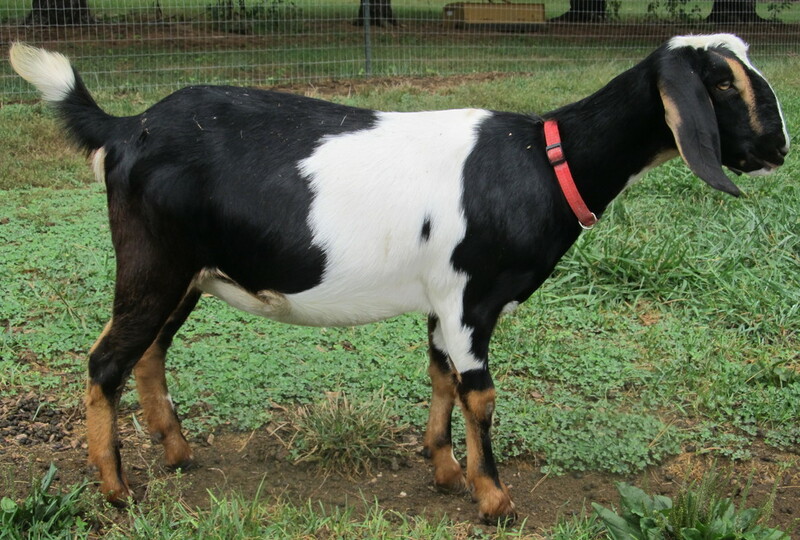 ​light chocolate buckling white star and patch. 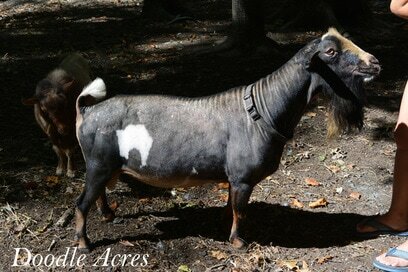 ​red broken chamoisee doeling with white patches. 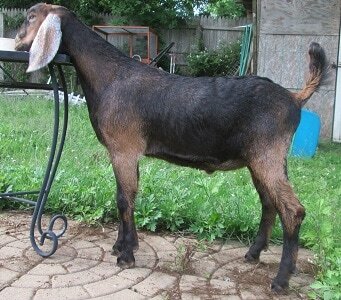 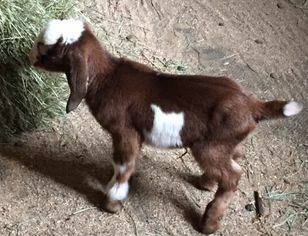 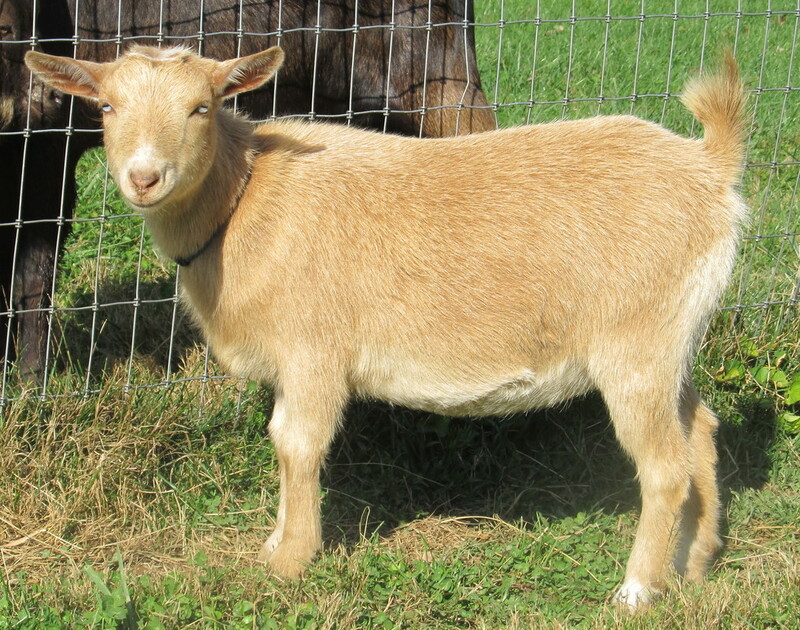 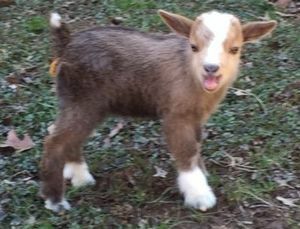 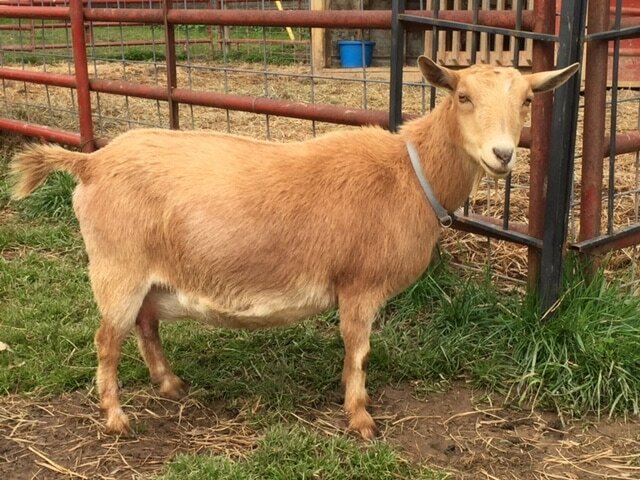 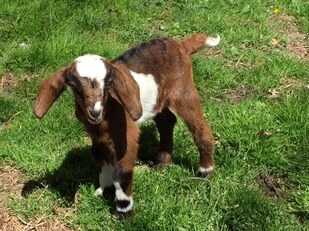 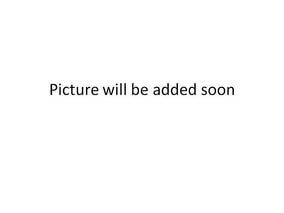 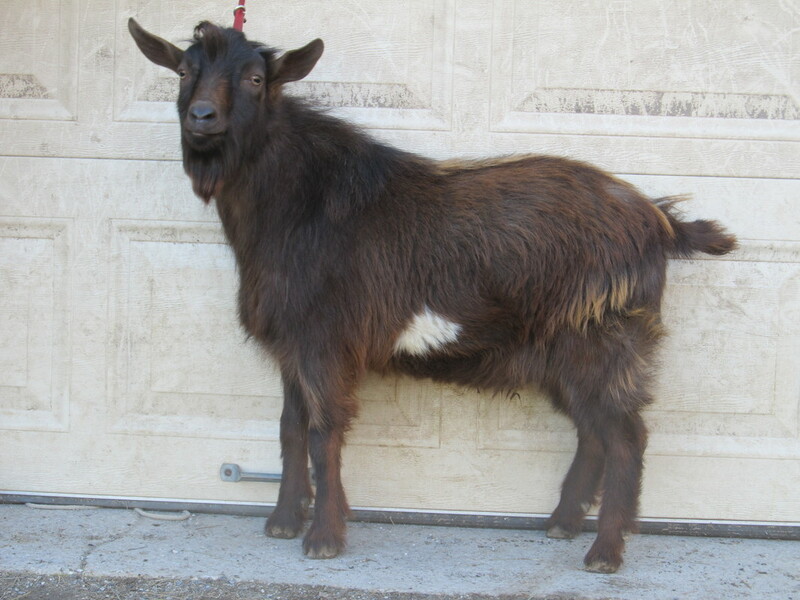 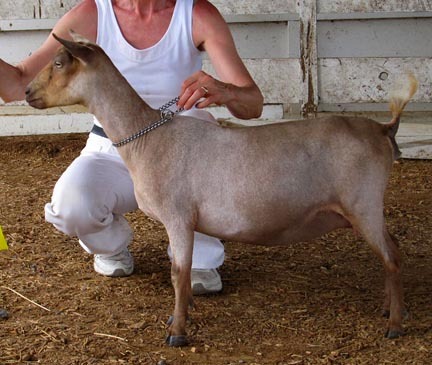 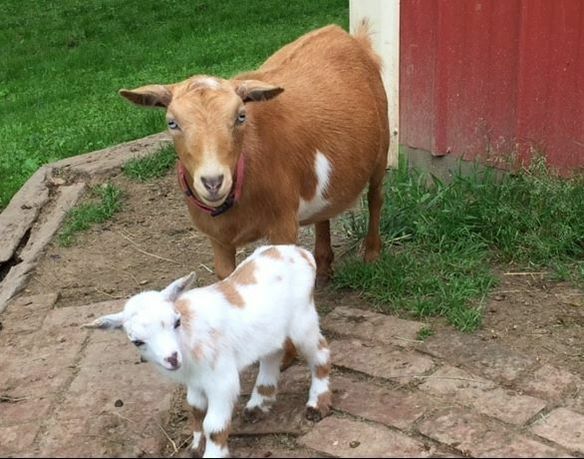 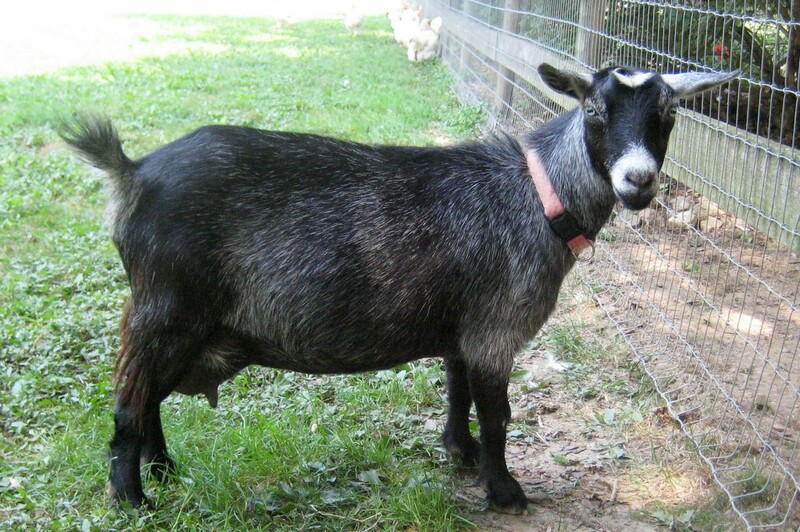 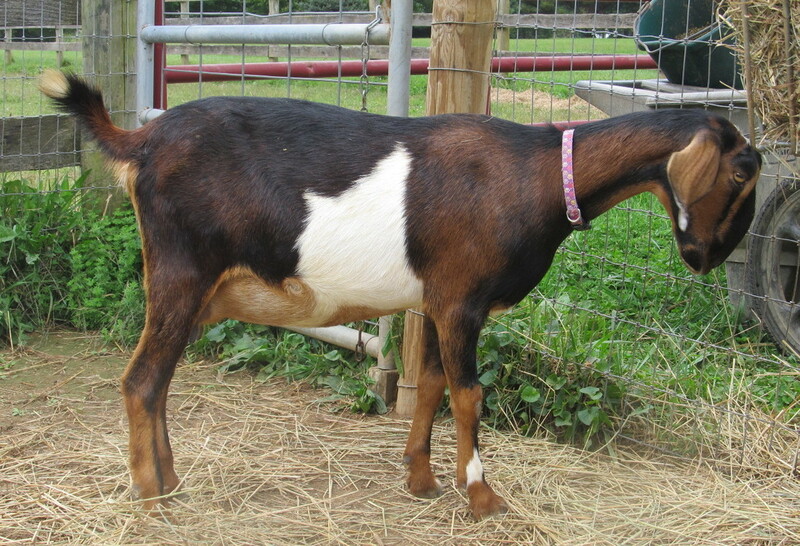 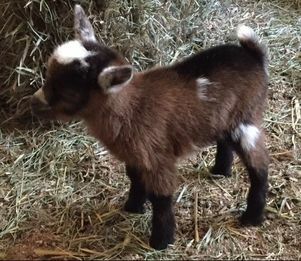 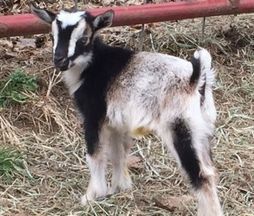 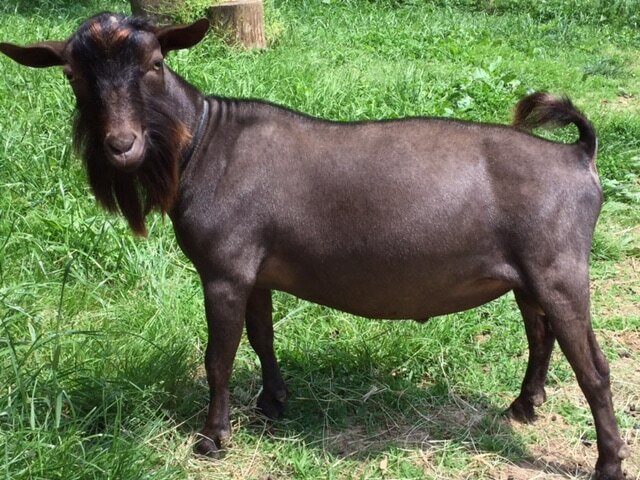 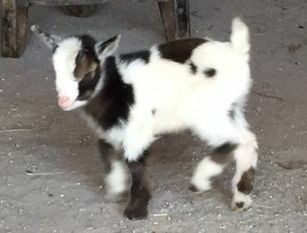 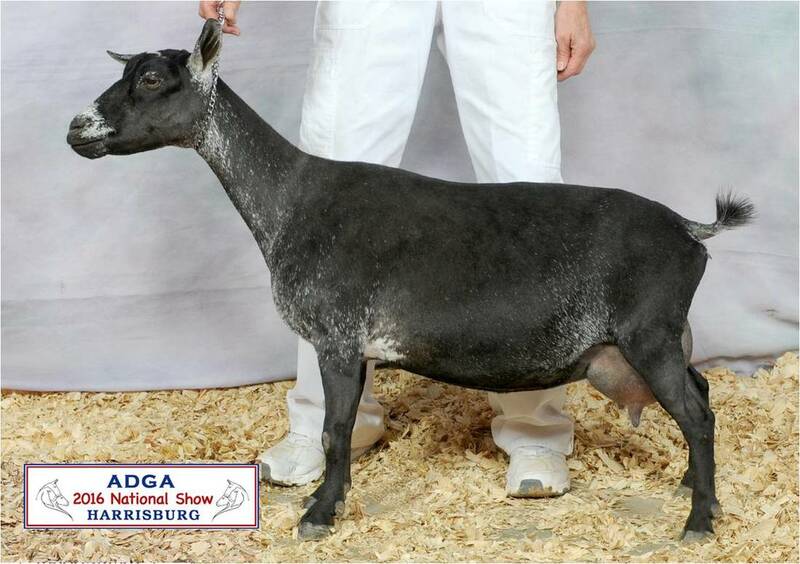 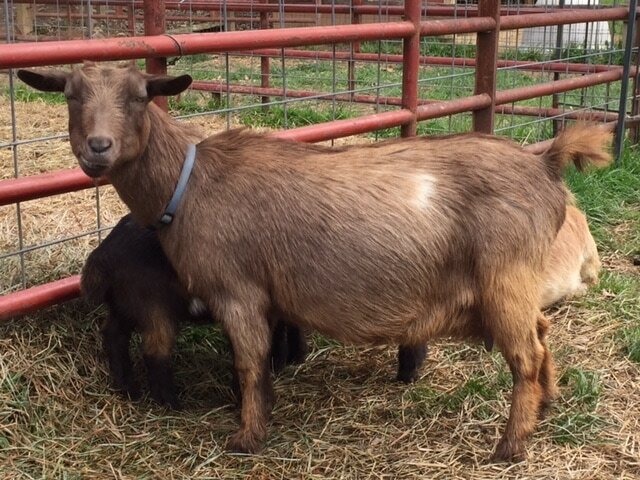 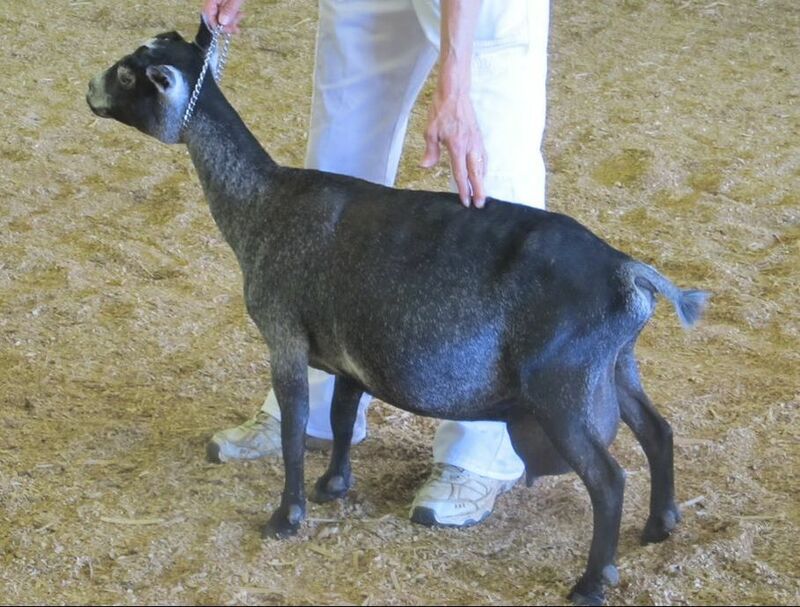 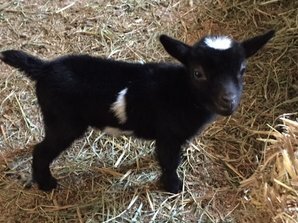 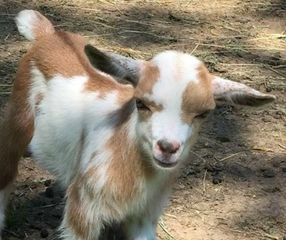 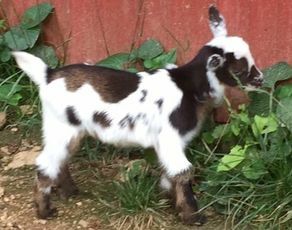 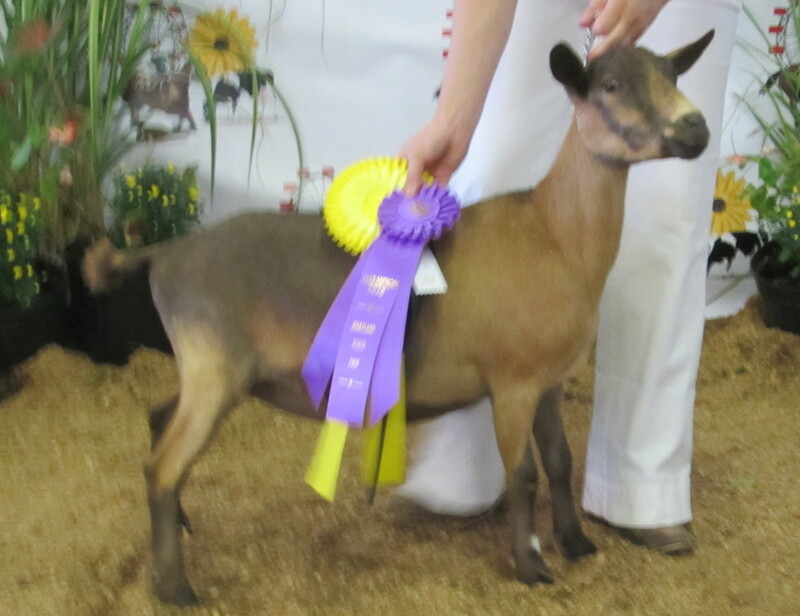 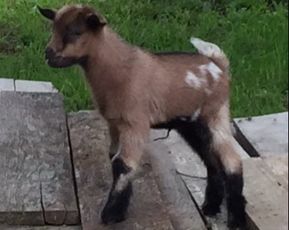 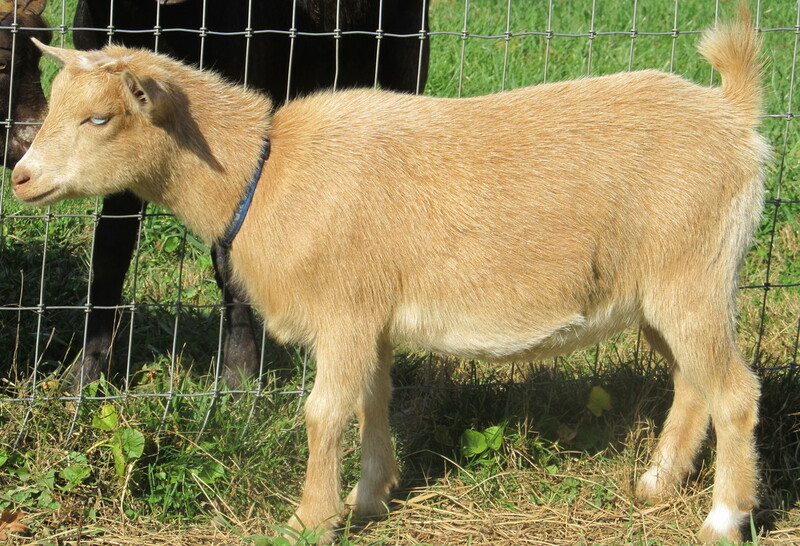 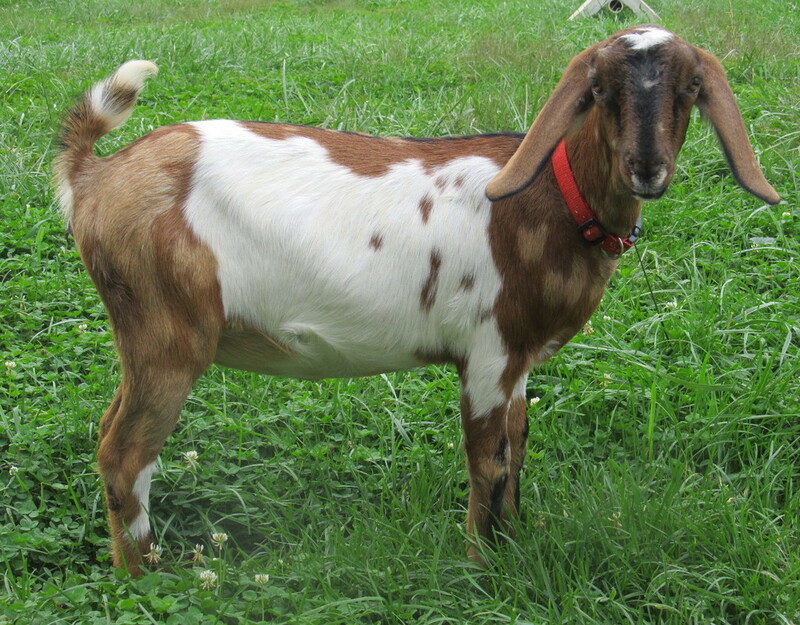 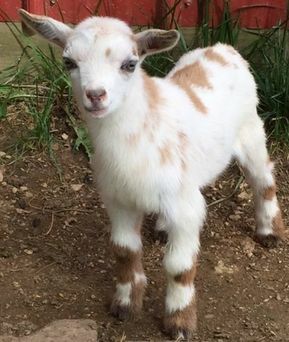 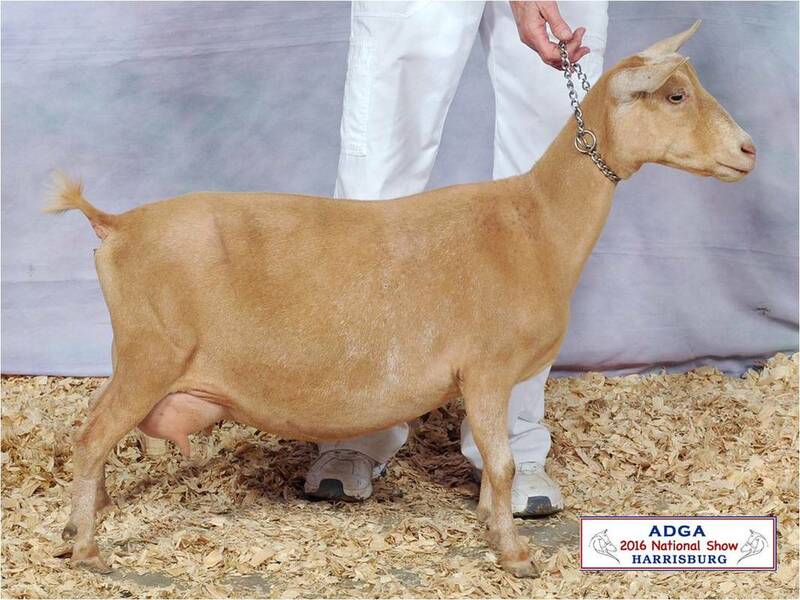 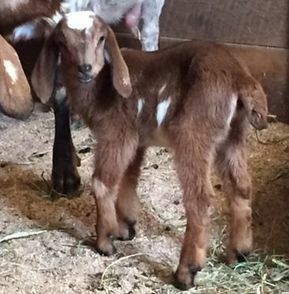 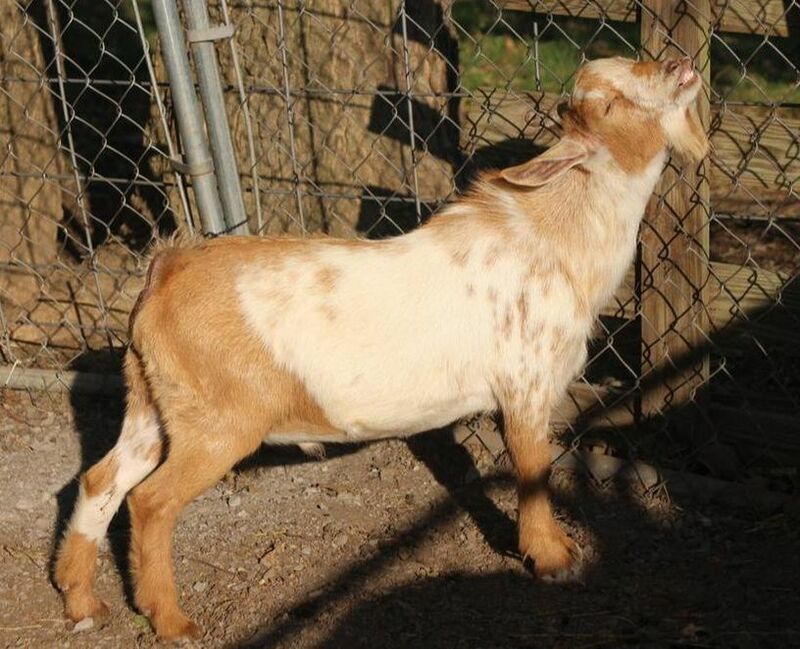 red doeling with bald face, white patches, socks, and tail tip. 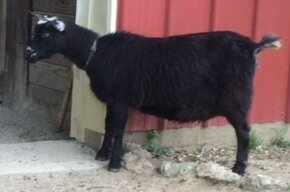 red chamoise buckling with small star, white on right.